Having relocated to Warrington, Katie worked for Natwest Bank for 5 years working in sales and service. 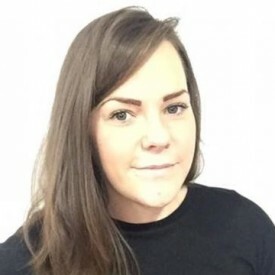 She began her recruitment career in August 2014 when she was headhunted by a local recruitment agency specialising solely in retail management, Katie looked after a variety of different clients ranging from luxury, high end brands to big box fast paced retailers. Following a relocation back to Yorkshire Katie joined the JHR team in October 2015. Katie account manages a selection of our contact centre and sales clients and provides an extremely thorough approach which is demonstrated by her excellent interview to placement ratios. In her own time Katie enjoys visiting local restaurants and walking her dog Charley!